dedicated to the teaching of handwriting. Here you will find well over 20 downloadable PDF resources – FREE to download and yours to keep forever! 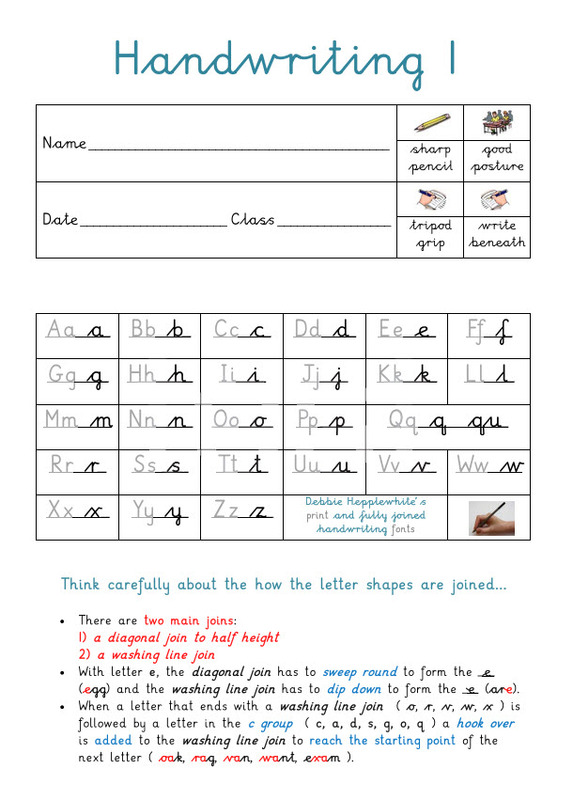 These additional handwriting resources available to buy are NOT ESSENTIAL to teach Debbie’s print or joined handwriting style successfully – but at only £11.95 for 2 x pupil ‘Learner-Practice Booklets’ (PDFs) which are yours to keep and print as many times as you wish, we think this represents incredible value! Have a look at Debbie’s Phonics International website. Non-essential if you’ve watched the video at the top of the page, but very useful and very inexpensive! Click on the ‘Resources to Buy’ button on the top menu bar (or the button below) where you’ll find more details of our Pupil Handwriting Books and the other free downloads that come with them – you can even ‘look-before-you-buy’ by downloading our ‘watermarked’ versions from the same page. 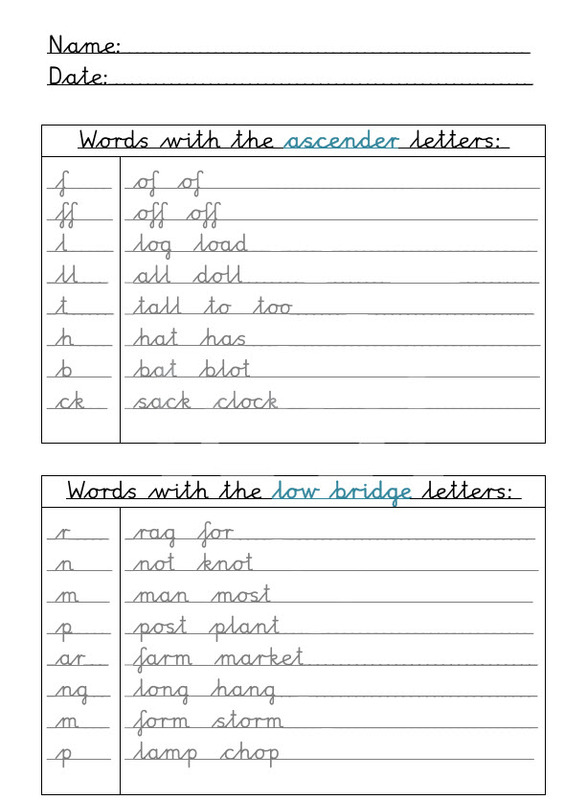 You can teach handwriting in days – not years! Trust us – it’s not difficult and whilst Debbie does offer handwriting training, she will usually try to persuade you to have a go yourselves. Watch the video and follow her advice. Buy the downloadable pupil handwriting books and access the other free resources – that’s really all you need and for a minimum outlay! If, on the other hand, you want to investigate handwriting INSET and get Debbie into your school, you will find full details on her training website – click the button below for more information. 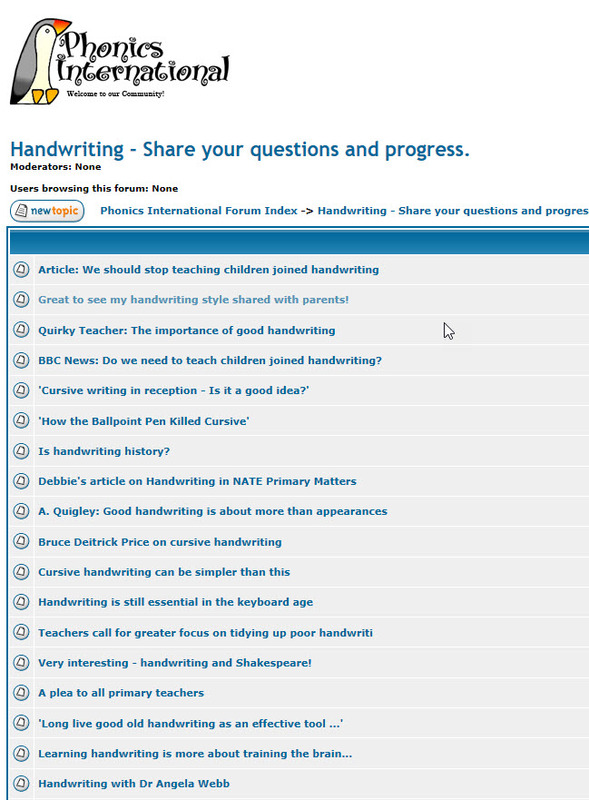 For those who may like to delve a little deeper into the subject of handwriting, please do visit our message forum. The link below will take you directly to a mass of postings, evidence and anicdotes from teachers, parents and tutors around the world. People do say nice things! Here are just a few of the many comments we have received from schools who have either used our resources or had Debbie’s handwriting training. “I also wanted to say that this morning I have been looking at your handwriting site and have been completely inspired. 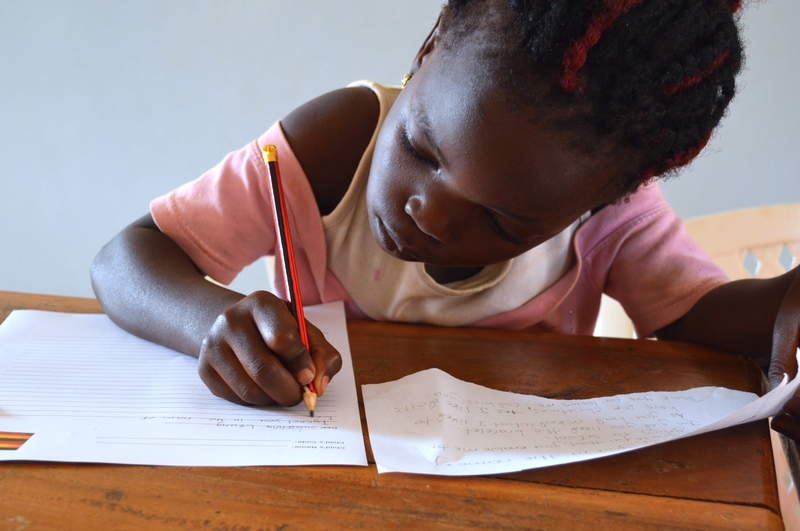 It is the first time the teaching of handwriting has seemed so simple and uncomplicated (as does phonics!). I have just purchased the ‘joinit’ package and feel much more confident about this approach than schemes I have come across in the past. “……His eyes were like saucers and he couldn’t believe he could do it! He hugged me, then jumped in the air and cheered. He ‘high fived’ all of us, then did forward rolls across the room. © 2019 Debbie Hepplewhite Handwriting.